玉響～Hitotose (literally Sound of Jade～ One year?) has been an anticipated shin-ban anime for me since mid-year. For me, Tamayura’s main attraction is its fantastic cast including some of my favorite seiyuus: Taketatsu Ayana (who voiced Azusa in K-on!/!! ), Asumi Kana, Fukui Yukari and Majima Junji. Talking about Majima Junji, for old fans of Memories Off series (originally created by the now bankrupt KID) like me, it is really nice to see him appearing in so many high-profile titles recently (Hidan no Aria and Hanasaku Iroha). Eventually, Memories Off 1 was his debut work as Minaho Shin, a character we MO fans all so dearly love and respect. Now back to Tamayura. 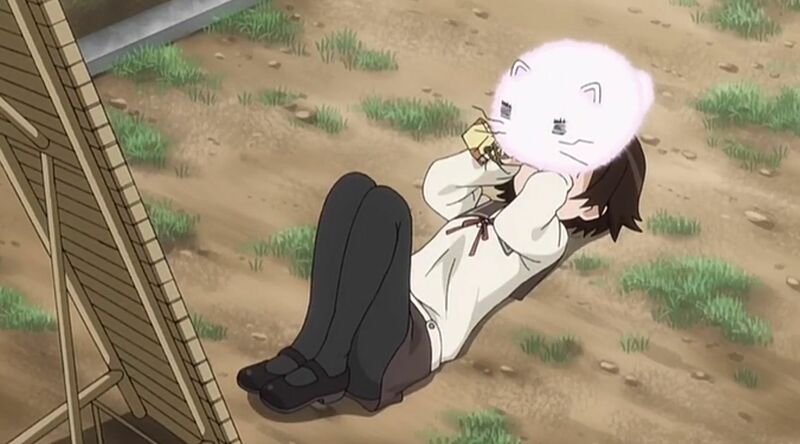 Here you have it, TAMAYURA!! 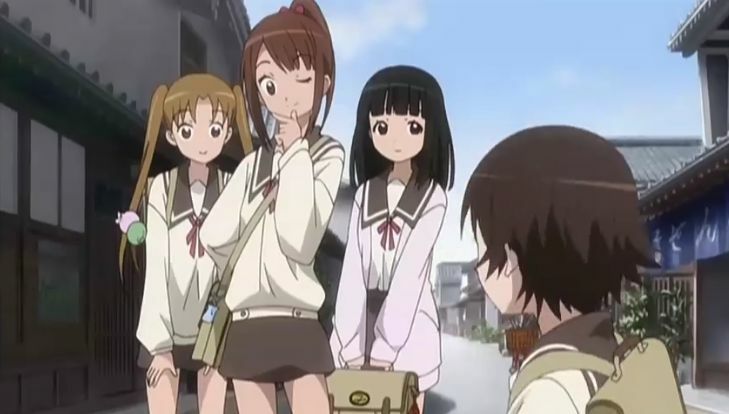 The drawing of Tamayura mostly adopts a simple, straight-forward style, which works both ways. The characters are minimal and manga like, which fits quite well with the small-town, nostalgic feeling the show attempts to deliver. However, sometimes the drawing looks a little rougher than what would have been preferred, especially for close-up shots of characters. Based on real locations, the background drawing is good and detailed. You could almost imagine how much photo-shootings and Photoshopping have been going on : D… Don’t take me wrong though, to Photoshop pictures of real locations into manga/anime background still requires a ton of work, and could easily go wrong. The team behind Tamayura is doing quality work in this respect. Let me expand a little bit on the point of background. Just like Hanasaku Iroha earlier this year, Tamayura’s story does have a location-a very specific one. The story unfolds in the municipality of Takehara, to the east of Hiroshima City in Hiroshima Prefecture. 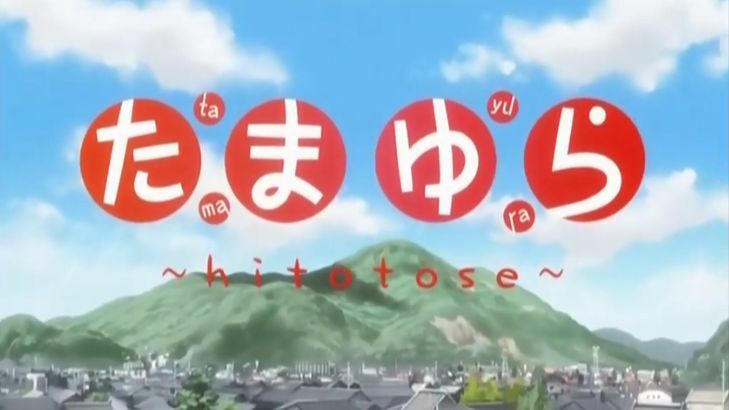 Even in the advertisement for the show, Takehara and “the scenery of Seto Inland Sea” have been labeled as sell-points. From the travel boost to Noto Peninsula triggered by Hanasaku Iroha, we can see a flourishing scene of anime acting as advertisements for locales around Japan. The Tamayura team definitely has the goal of promoting Hiroshima Prefecture in mind. In the first episode, when Botte took the Kure-line to Takehara, and saw the big word “Okaerinasai” printed on ground at the train station, I could almost feel the tear-inspiring power of the scene as a successful tourism ad. It is a good thing though, since both Noto and Hiroshima are most definitely awesome places to visit, despite the latter being nuked around 70 years ago (it is currently one of the largest metro in West Japan, so no worries of radiation). I would also like to mention that South of Hiroshima and West of Takehara lies the famous Kure port, and the famous Etajima Naval College. Why should I mention that? Well, setting up for a Zipang review… xD. 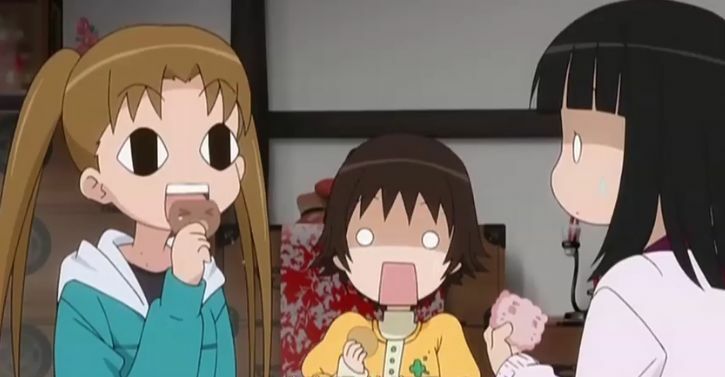 Anyways, we’ll see how much attention Tamayura will attract. 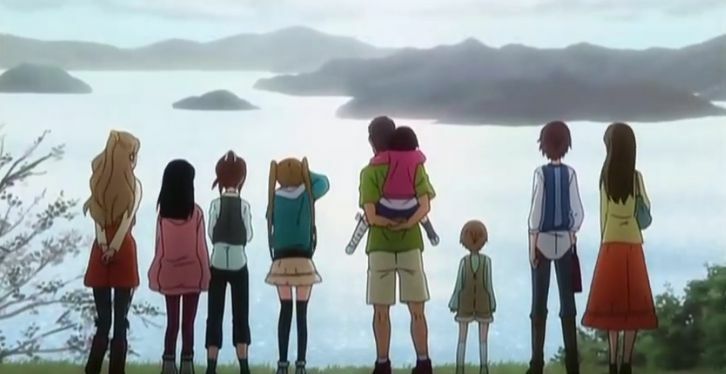 Despite the above mentioned flaw, I would keep on watching Tamayura, even just for the sake of its great Seiyuu cast, and Seto Inland Sea of course. Local anime fan blog in Vancouver dedicated to title reviews as well as commentaries on the wider industry. Could (and often) go off topic without warning. Please enjoy the read. FORBES-Will Facebook’s IPO Mark The Beginning Of The End?